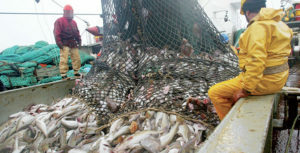 Morocco and the European Union are heading towards the renewal of the fishing protocol, as the College of Commissioners unanimously adopted on Monday the exchange of letters that include the Moroccan Sahara in the agricultural agreement. This is an important step since Rabat and Brussels started negotiations on the renewal of the fisheries agreement with a view to adapting the agreement to the decision of the European Court of Justice (ECJ), a European source in Brussels commented. Thus, products from the Sahara region will be included in the agreement, especially given the positive socio-economic fallouts for the region’s population and economy, the European source confirmed. The same source pointed out that the inclusive consultations with local representatives, civil society and various entities and organizations concerned, have showed broad support for confirming the inclusion of products from the southern provinces in the agreement, given the socio-economic benefits to the region’s population and economy. The EU source said that the future agreement with Morocco is meant to facilitate the access of the Sahara products to the EU at the same preferential tariffs applied on products from other Moroccan regions. The European Commission noted in a statement released at the end of the College of Commissioners meeting that the approved documents will be sent to the EU Council and the European Parliament for adoption. The statement also recalled that Morocco is a “key partner” in the southern neighborhood with which the EU maintains privileged relations. The Commission also expressed willingness to further develop these links with the North African country in several areas. Posted by Khalid Al Mouahidi on June 12, 2018. Filed under Business. You can follow any responses to this entry through the RSS 2.0. Both comments and pings are currently closed.